Colonial White granite is quarried in India. 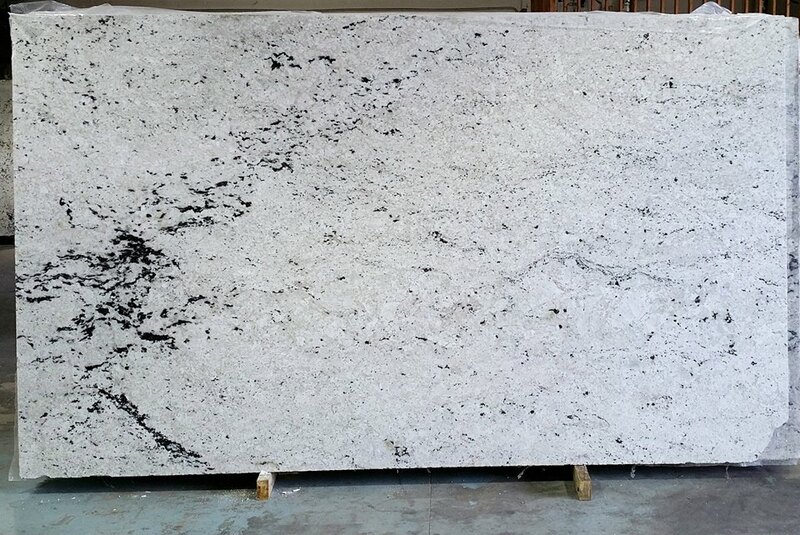 It is a white stone with a blend of pale grey, soft silver and accented by a sprinkling of black mineral deposits. This color granite will have a medium amount of variations from slab to slab. When Colonial White granite countertops are paired with white cabinets they complement the white tones of the cabinets, and the dark mineral deposits add a little depth to the room. The grey tones warm up the overall effect ensuring a clean, yet inviting appearance. When combined with dark cabinets there is a contrast between the white granite and the dark cabinets. The contrast allows for the mineral deposits in the slab to stand out and sparkle. Colonial White granite gives any room a refined, simple, and elegant look while still remaining versatile. This light color will brighten up any kitchen, making it feel more spacious and luxurious.Depending on the application and design elements, the look can create a warm homey look and feel or a cool, clean, and modern look. One of the benefits of white granite countertops is the versatility when design styles and trends change and you want to change up your kitchen or bathroom.